Please select a letter to view definitions by first letter. 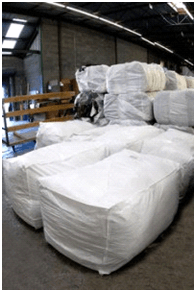 The trade name for a large (4X4X4), flexible, seal-able sack. A large packaging and storage bag usually used for shoes and hard toys. capsacks can also be used to package metal ware, bric brac, purses and belts. 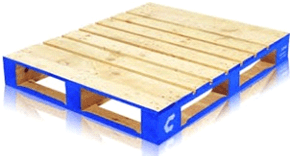 We supply capsacks to suppliers. Contact us for more information. Also referred to as load, shipment, payload. 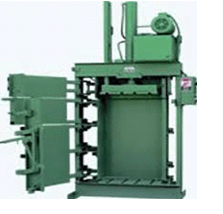 It is the material that is being transported in a shipping vehicle. An individual, partnership or corporation engaged in the business of transporting goods. 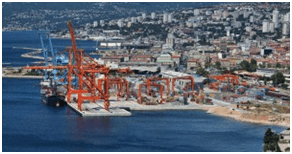 Bank & Vogue ships in 40′HC (High Cube) sea containers. Containers will arrive on a truck and can be loaded and unloaded from a loading dock at a height similar to a regular 53′ trailer. The number identifying a particular shipping container. These are untouched donated goods in the exact same condition as it was when donated. A reimbursement or refund of a portion of the total payable. See our Credit Resolution Policy for more information. The official department that administers and collects the duties levied by a government on imported goods. Customs broker is a professional that involves the “clearing” of goods through customs barriers for importers and exporters. This involves the preparation of documents and/or electronic submissions, the calculation and payment of taxes, duties and excises, and facilitating communication between government authorities and importers and exporters. A shipment that the final destination will not be the country of origin. A term used to describe a situation where the client is responsible for the expenses and logistics of securing freight. 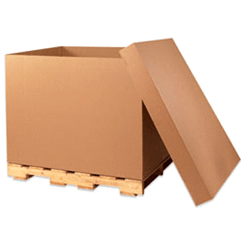 The trade name for a large (4x4x4) reusable corrugated container, often used to ship melons or other bulky fruits. A document issued by a seller to a buyer, indicating the products, quantities, and agreed prices for products or services the seller has provided the buyer. 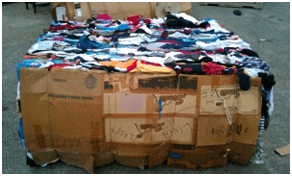 Mixed rag (also known as institutional) is a grade of used clothing generally produced by second-hand and thrift stores. 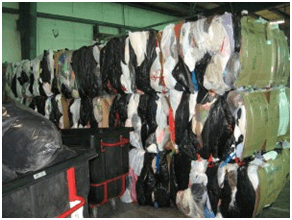 The clothing that is not suitable for their stores, or that is unsold after being in their stores, is placed into bags or bales and sold as Mixed Rag. A trailer that will be loaded with products within 2 hours loading time while the driver waits. 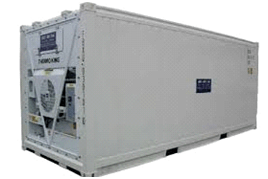 Refrigerated trailer with insulated walls and a self-powered refrigeration unit. A statement from a third party client regarding the qualities of your business relations. We will sometimes ask our new clients for references. 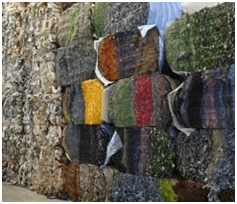 Cloth fabric such as woven or knit goods. The part of a semi or tractor trailer that contains items being moved from one location to another. Bank & Vogue ships in 48ft and 53ft trailers. The Part of a Semi or Tractor trailer that houses the driver and tows the trailer. Bank & Vogue ships in 48ft and 53ft trailers. Consumer goods that have been used and then donated/recycled for use by others. The fee required to send a wire transfer, usually charged to you by the bank. Usually between $10-$15. check with your financial institution to determine the amount. 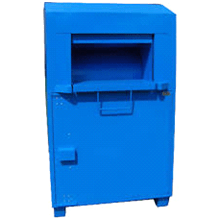 Is a shipping plastic that is often used to protect bales of cloth and gaylords from dirt and debris during transport. Also referred to as shrink-wrap. Itemized list of goods contained in a shipment. A Charge to the party responsible for a truck not vacating the property at a scheduled time. A shipment that will remain in the country of origin. A gift given by physical or legal persons, typically for charitable purposes and/or to benefit a cause. A trailer or container which will remain stationary for longer than 24 hours for the purposes of loading and unloading. Operating a truck without cargo. Semi trailer with no sides. A loose load that is stacked by hand on the floor (and to the ceiling) of a trailer– examples are credential donor bags, shoe bags, hard goods or bric brac in donor boxes. It normally takes 6 to 8 hours to load a trailer in this manner. 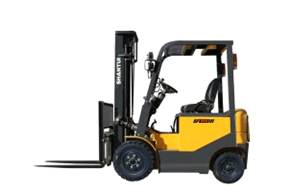 Is a powered industrial truck used to lift and move materials short distances. 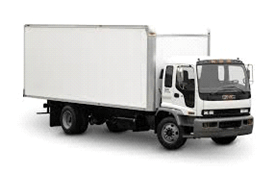 An individual or company that books freight with a carrier on your behalf. The number of occurrences of a repeating event per unit time. Used consumer household goods other than cloth that are donated. They are usually donated in boxes or loose. Is a dialogue between two or more people or parties, intended to produce an agreement upon courses of action, to bargain for individual or collective advantage, to craft outcomes to satisfy various interests of two people/parties involved in negotiation process. A location on a coast or shore containing one or more harbors where ships can dock and transfer people or cargo to or from land. Refers to a load of product paid for in advance of delivery. 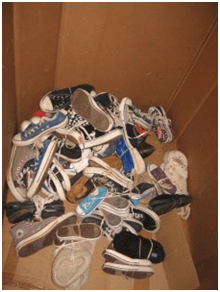 An individual or organization that gathers donated items via bins, clothing drives or other events and sells the donations as credential products. A commercial document and first official offer issued by a buyer to a seller, indicating types, quantities, and agreed prices for products or services. Acceptance of a purchase order by a seller forms a contract between the buyer and seller. Is the department at Bank & Vogue that is responsible for acquiring goods and delivering service to product suppliers. Is the department at Bank & Vogue that is responsible for delivering service to product customers. 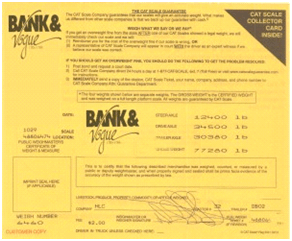 A scale ticket is a signed and stamped paper received at a weight station as evidence for the weight of a trailer that is both empty and full of product. An empty scale ticket is the weight of the trailer and truck without any product on it. A full scale ticket is the trailer and truck with the product on it. The difference between the two is the weight of the load. 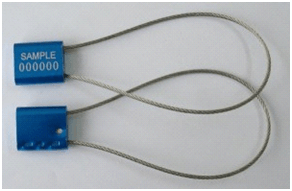 A numbered metal or plastic tie that is secured to a trailer lock at the origination location. It is intended to remain intact until the trailer load arrives at the destination. 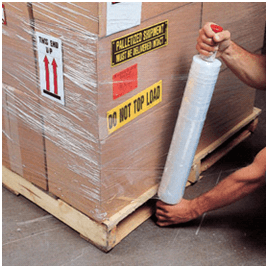 An intact seal ensures that the load was not pilfered during transportation. Shoes that are wearable but that are not paired and banded.